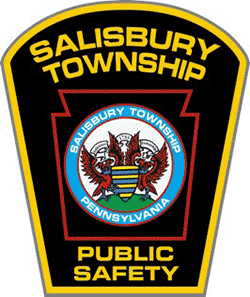 What Is Salisbury Township Emergency Management? The Salisbury Township Emergency Management (EMA) is responsible for reducing the effects of disasters before they occur, through mitigation, planning for and coordinating the operations and response to a disaster, managing resources and coordination of recovery efforts following a disaster as well as providing public information. EMA is deployed from the Salisbury Township Public Safety Building at 3000 S. Pike Ave. Allentown, Pa 18103. Contact information is (484)-661-5841, emc@salisburytownshippa.org or deputyemc@salisburytownshippa.org. EMA works with numerous local, volunteer, state, and federal organizations on an ongoing basis and after a disaster. Highly trained personnel work to ensure the safety of not only the public, but all first responders in the township. The EMA office is home to the Township’s Emergency Operations Center (EOC). Activated during large-scale emergencies or special events, the EOC is a central location for senior officials from Township, state, and federal agencies and relevant private entities to coordinate response efforts, make decisions, and gather and disseminate information. The EOC is also the central point for allocation and deployment of resources to support response and recovery efforts, such as vehicles, heavy equipment, fuel, and other emergency supplies. Liaison to the State of Pennsylvania and County of Lehigh Emergency Management Agency (PEMA) and other local emergency management agencies and organizations.